Enjoy a summer Spanish learning vacation in the capital San Jose. 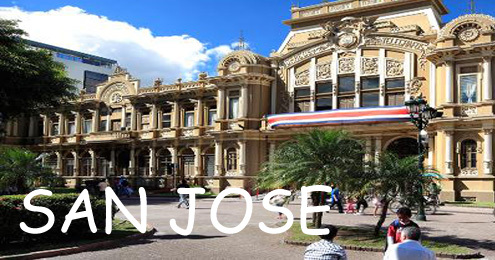 Learn Spanish in San Jose, the capital and largest city in Costa Rica. 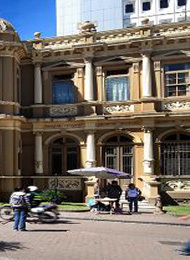 Located in the Central Valley, San José is one of the youngest capital cities in Latin America and the center for national government, political, economic activity, and the major transportation hub. The capital is a busy place, but still quite laid back.San Jose is also a good place for food and shopping. But nowhere is the spirit and feel of San José and its people more evident than in the public parks, squares and markets. 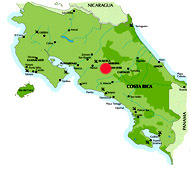 You will book your own flights and arrive independently into San Jose. You will be met at the airport and taken to your accommodation. Your accommodation is included on the Saturday/Sunday, our language courses start on Monday and finish Friday, departure day Saturday/Sunday. If taking the course in Manual Antonio we suggest you arrive on the Saturday and depart on the Sunday. You will be studying and living with like-minded students of a similar age from around the world, under the supervision of our staff, with rules & curfews. In San Jose, Spanish classes take place outside of our regular Spanish institute at a small private university just 10 minutes from our regular school. Among the facilities, they have 30 classrooms, a cafeteria, and computer lab. All their facilities fulfill the Education Ministry's required standards. Classes take place from 9:00am to 12:00pm daily and lunch is catered in at the university facilities. 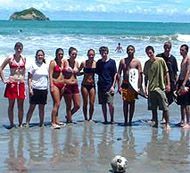 In Manuel Antonio, Spanish classes take place at our regular school just across the street from the campers' accommodations and a 5 minute bus ride from the famous Manuel Antonio Beach and National Park! 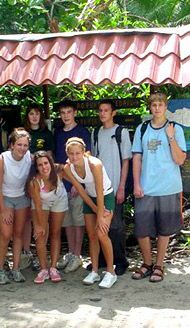 Our Manuel Antonio institute has 15 teaching areas, a computer room, an onsite snack bar, and free WiFi. There's also lots of common area both inside and out on the terrace, which overlooks the Pacific Ocean. Campers stay with pre-approved, middle class host families in both locations. Accommodations at the homes include shared rooms with 1-2 other campers of the same gender and similar age. In the host family they have breakfast and dinner. Lunches are included in the program, but are catered in to the school after Spanish classes. On weekend overnight tours, students will stay at hotels in shared rooms with 1-2 other campers of the same gender and similar age. Chaperones also stay at the hotel. Our camp employs chaperones who pick up students at the airport, accompany all the activities, and assist students with anything they might need. Students are not allowed to go out by themselves due to safety precautions. Students are NOT allowed to go out by themselves at any time, day or night. When students are not with the chaperones, they stay with their host family. Adults in the host families are allowed to take the students out in the evenings. Enjoy a schedule of social & cultural activities during the week with other students and weekend excursions. We understand the importance of relaxation and free time during an international exchange program. Therefore, sutdents have time to relax, go shopping, go to the movies, see concerts, visit the zoo, and many other activities. Participants have the opportunity to volunteer once a week at public schools in economically depressed area; help in orphanages, in nursing homes, in recycling projects or protecting the enviroment. We choose the project depending on availavility and need. Activities include: teaching basic English to the childen, singing songs in Spanish and English, maintaining the school's facilities, and working in the school's vegetable garden with the children. 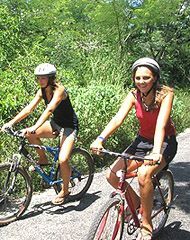 Example of activities: BBQ, coffee tour, Arenal Volcano, Poas volcano & waterfall, zip line Tour, Isla Tortuga, INBIO Park etc. BOOK THIS TEEN SUMMER VACATION ONLINE! We require a deposit of $300 to book any language vacation. 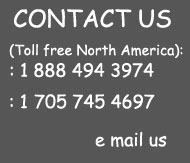 We will give you unbiased help in choosing the right type of summer language vacation to match your needs and requirements.